How do I trek to Everest Base Camp ? Getting Face to Face with Everest has been on the bucket list of adventures, hikers and trekkers since the mountain was spotted by the British survey back in the 1850’s. How do I trek to Everest base camp? What our video below and read more about making this special journey deep into the Nepalese Himalaya’s. If you get one chance to stand in awe of nature, you should do it in front of Everest. 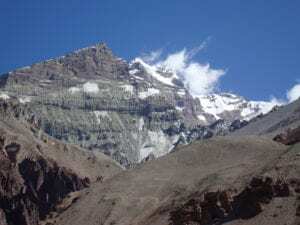 You are standing at over 3 miles high on Kala Phattar above 18,000 feet high in the sky looking at the highest point on the planet almost 6 miles high, entranced with the top of Everest and this majestic mountain. The trek to Everest can be a life changing experience for a lot of people. Making this journey to Everest Base Camp is within reach of most people and thousands of people journey here each year to be inspired, step away from their busy everyday lives and trek through villages and mountain towns. It feels like you are stepping back in time and walking through a world we read about his history books. CONTACT US FOR YOUR 45 PAGE DOSSIER. What is the trek to Everest Base Camp Like? We take 9 or 10 days walking up to Everest base camp, you are walking trails in many different climates. Beautiful scenery, massive peaks all around you along with villages, towns, monasteries, museums and meeting the local Sherpa people and experiencing their way of life. Lush green valleys, snow capped peaks, stunning glaciers await you as you walk this famous trail through the Everest and Khumbu valley. Participating in this trek will give you a sense of achievement along with being invigorated, physically and mentally tested in this graceful environment in the caring, friendly, welcoming local Sherpa people. We spend three nights in Namche Bazaar giving you the best acclimatization on your journey to Everest base camp. When should I take on the journey to Everest Base Camp? There are two trekking season for the Everest Base Camp trek. From the middle of March to the end of May. The main reason to trek in these months is that Everest Base Camp is alive with activity. Climbers are in Base Camp preparing to make their summit attempts from the middle of May to the end of May. The weather gets warmer in May and as the monsoon approaches the warm air pushes the jet stream winds off the summit of Everest and gives climbers a chance to sneak up to the summit and get back down before the high winds and monsoon season close in, in June of each year. The Monsoon season last until August and the second trekking season begins in September through to early December each year. The skies can be clearer in this trekking season but does become cold as you move towards December trekking. Should I trek with a guiding company? Of course I will say yes, every year people go missing, local guides leave clients and I have seen listed of hundreds of people who go missing and are never found. The Nepalese government has made it compulsory to have a guide in some trekking regions and this could spread to all regions over time. We have value in organizing all bookings, permits and paperwork for you, giving you training plans, dossier, and available 5 days a week in support of your adventure so you don’t have to worry about organizing hotels, airport transfers, permits, lodging and management of the trek. You can show up and enjoy your chosen adventure, we will take care off everything for you and help you fully prepare and training for you trek to Everest base camp. How can I get in shape for this trek? It is important to physically prepare for the trek. Unless you walk up hill at altitude on a daily basis you need to get the conditioning in the body to give the chance at making this journey. Nothing can prepare you in going to 16,000 – 18,000 feet so walking up hill with weight in your backpack or 5 – 10 miles on a regular basis along with jogging, swimming, cycling, walking on a stair master, up hill on a treadmill will all help. There is no substitute for walking up and down hills. Taking a slow and steady pace keeping your heart rate at a regular pace on the Everest Base Camp trek, aids your acclimatization also drinking 4/5 liters of water per day and stay well hydrated is key in going into low oxygen environments. What should I pack? Get in touch for our Everest Base Camp Kit list and read this blog post also read our top 10 tips for trekking to Base Camp. We use Patagonian Icebreaker, Berghaus, Mountain equipment, North face. Light weight and quality clothing. You will have a yak or porter who is carry 15kg/ 33lbs of your personal equipment on a daily basis and you will carry anywhere from 5 – 6kg on a daily basis. You will carry 2/3 liters of water, camera, fleece or down jacket depending the day of the trek along with Gortex rain gear. Check out our other blog post on kit and gear you will need. Feel free to CALL US or EMAIL US and we will take you through the kit list. WATCH OUR EVEREST BASE CAMP PACKING VIDEO.